Miss the golden days of awkward teenage romance? Do you long for a fancy night indoors with a goofy DJ and absurd chaperones? Do you just like to laugh? 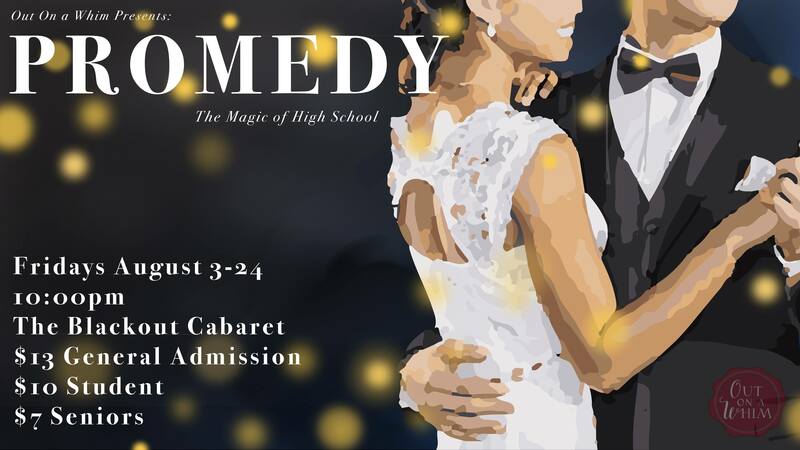 Look no further as Out On A Whim presents Promedy: An Improvised Prom! with guest teams as our Prom Dates and suggestions from you, the audience, to help pick songs; you’ll get to laugh, sing along, and vote for Prom Royalty. Fridays at 10pm in the Blackout Theater from August 3rd through the 24th.